I really can’t count the number of times I’ve heard or read that quote. For some time it did not make sense to me that successful women wouldn’t want their fellow counterparts to be successful. I mean there’s enough room at the top for women. Even if there isn’t, we can always be like men and squeeze ourselves in somehow. Or is that just wishful thinking? My thoughts randomly drifted in the direction of women with the PhD (Pull her Down) syndrome this morning, and upon recalling various conversations that ranged from how some women do not like Olivia Pope because they refuse tro attribute her sucess to her hard work, to women I know randomly making up stories about one another to destroy reputations that have taken years to build, I have come to the conclusion that the PhD syndrome is not a myth, it is real. The question is why is it there? I believe very strongly that many women are keen to pull down their female counterparts for one very good reason: they, like males have been conditioned to believe women should not be successful. It’s not only successful women who pull down their female colleagues, unsuccessful women do it too. I have spent a good thirty minutes this morning trying to remember the last time I heard a woman admire a fellow woman without pointing out a single flaw or belittling the difficultly-offered admiration by being condescending, and boy have I struggled! The truth is that society has its standards for us: there are gender roles people claim are effective representations of what society ought to be, and these representations should not be lost with our increased civilization. These gender roles did not in any way provide room for female success; they provided women with nothing more than the ability to remain hidden while their men shone. This was seen as the ideal role of a woman, and a woman who did not fulfill such a role was considered to be a rebel or was ostracised by society. This is the model many women still subcribe to centuries after the stone age has ended. Some women still hope to be in the shadow of men; I see BBM status updates like ‘God bless my man’s hustle so i can bath in the fragrance of his success‘, and I always think to myself ‘Erm… what about your own hustle, your own success?‘ Such thoughts suggest that some women still want to be shadows of men; they believe that’s their destiny, their role in life, hence it comes as a shock when they see another woman challenging the status quo. Women hardly appreciate another woman’s success; they have their own ideologies as to why a woman was able to attain the height she has attained: she either slept with some powerful men along the way, she knew some people who pushed her to the top, or she used some funny tactics that should not be mentioned. These are the stories women spread about one another in a bid to destroy the reputation of a woman they believe is challenging the status quo society set, or a woman they see as a threat. Some women twist stories and tell lies, some insult other women for being strong in the face of a broken relationship or marriage. Some women simply feel they must be the best, hence they must compete. Failure to win the competition means the gloves come off, and the other woman had better be ready for a show down. 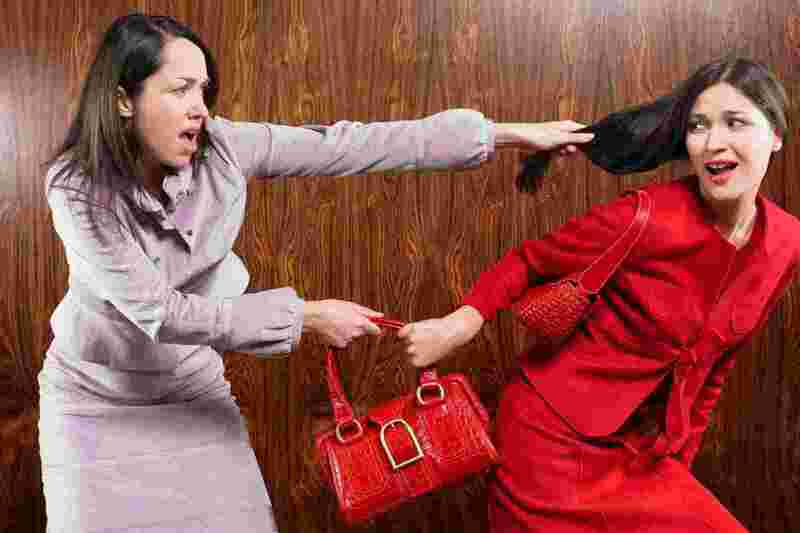 It is shameful for me as a woman to see women constantly pulling each other down, even in the work place. It is disheartening that even in our fight for equality, we are our own biggest enemies. We are the biggest traitors to our own empowerment, because we often side with the opposition simply to bring down any woman we believe is a threat to us. We are so wrapped up in the model society has designed for us, that we sometimes involuntarily fight against our own movement. Jealousy is a constant cloud that hangs over many women, and the need to be better than our friends and colleagues remains the root of our insecurity. We walk into rooms and compare ourselves with others, only being ultimately satisfied when we have established we are better than every other woman in the room. We are always on the lookout for dirt on other women, and any gossip or rumour we can twist or help spread is what excites us.